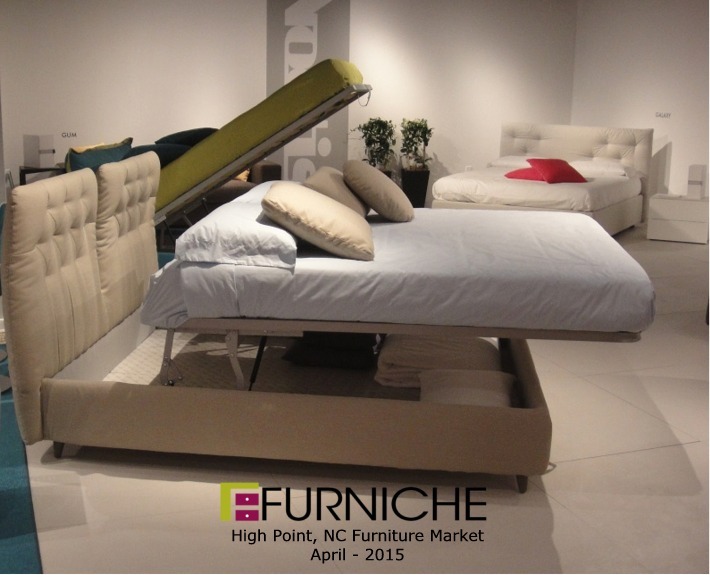 Although the bulk of furniture manfufacturers have left the North Carolina furniture region over the last 20 years, the International Home Furnishings Market held twice a year in High Point remains one of the premier furniture markets. 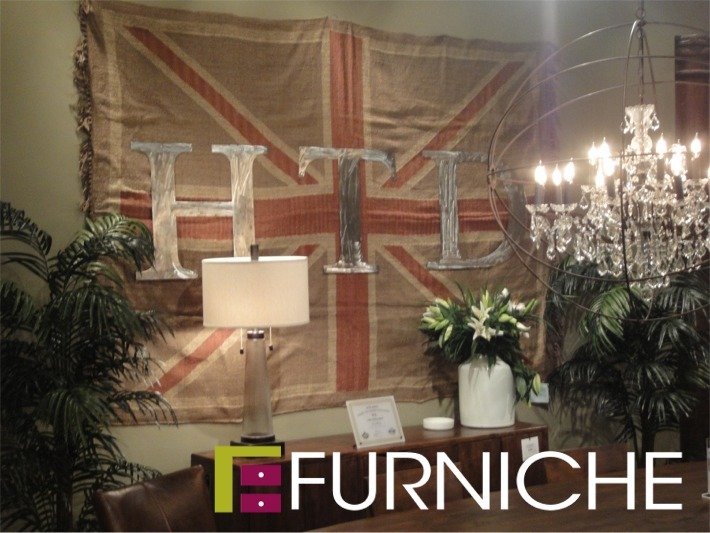 Retail buyers come from around the world to visit showrooms and select new furniture for retail stores. 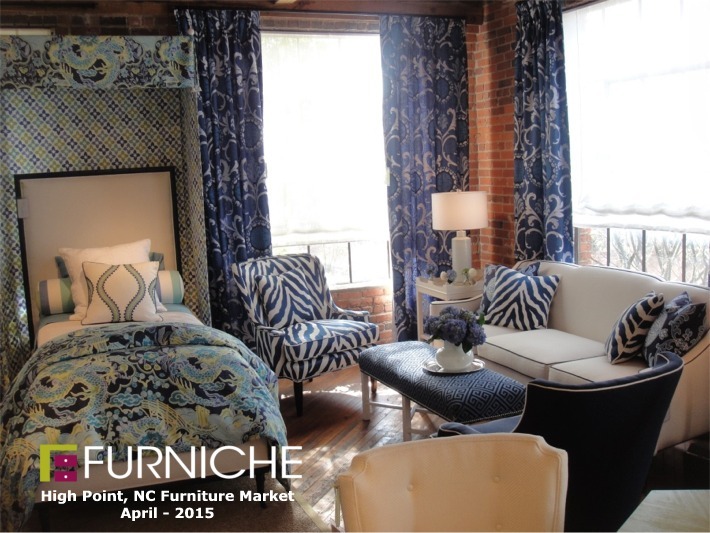 The High Point Market is the worlds largest furniture tradeshow. 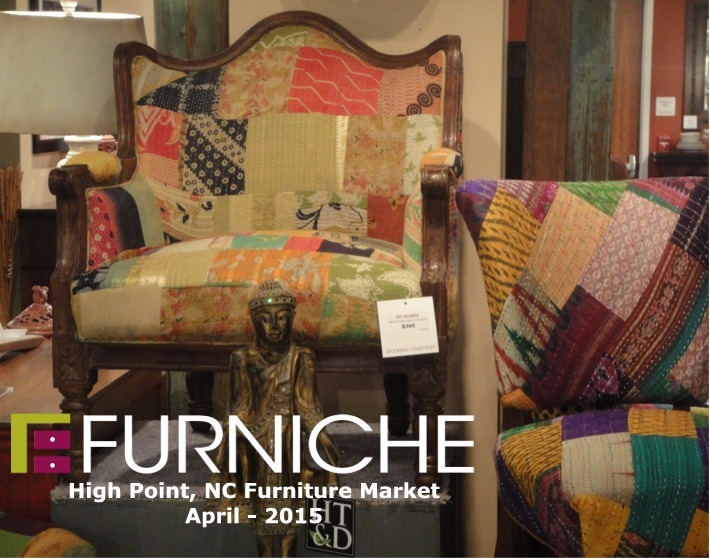 Learn more about the history of the High Point Furniture Market. 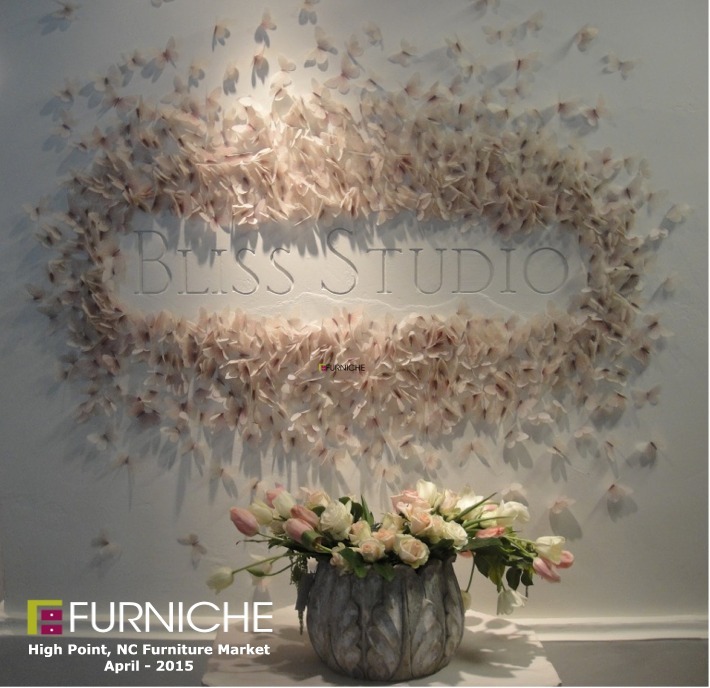 Furniche has been attending this furniture market and home furnishings show for over 30 years. 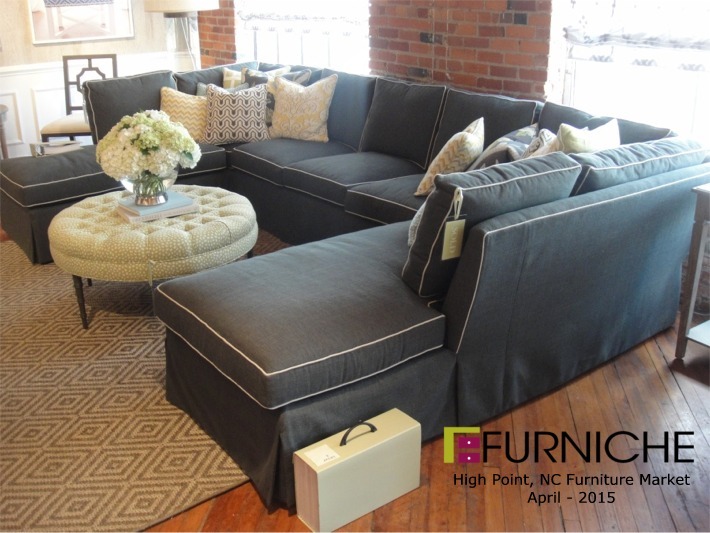 We never tire of seeing new and exciting fabrics, wood finishes and new styles of furniture. 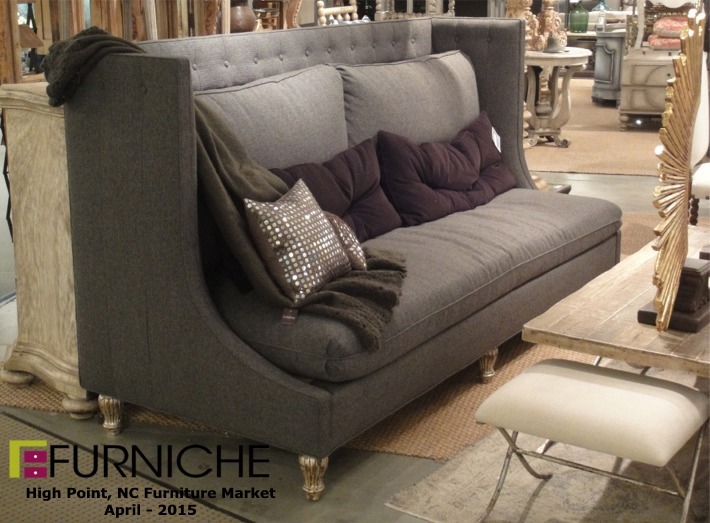 This page will showcase our furniture finds while we visit. 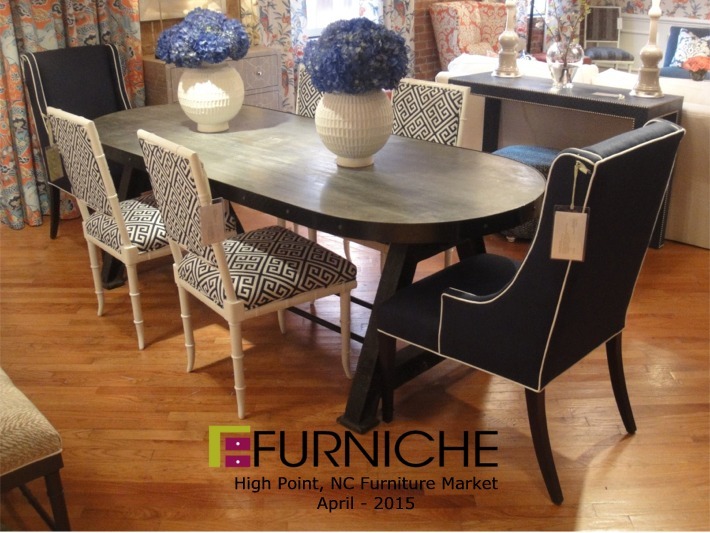 Here are just a few of our photos from previous High Point Furniture Market shows. These are not in any particular order. 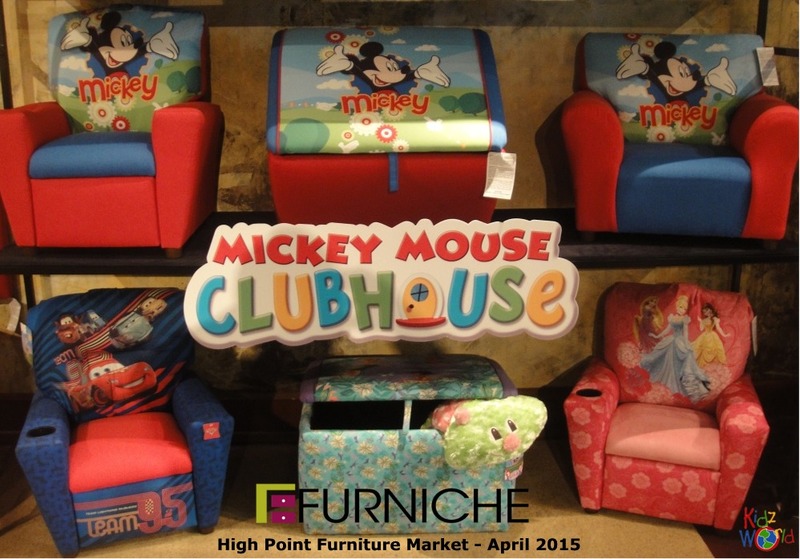 Let's start with some fun furniture for your little ones. 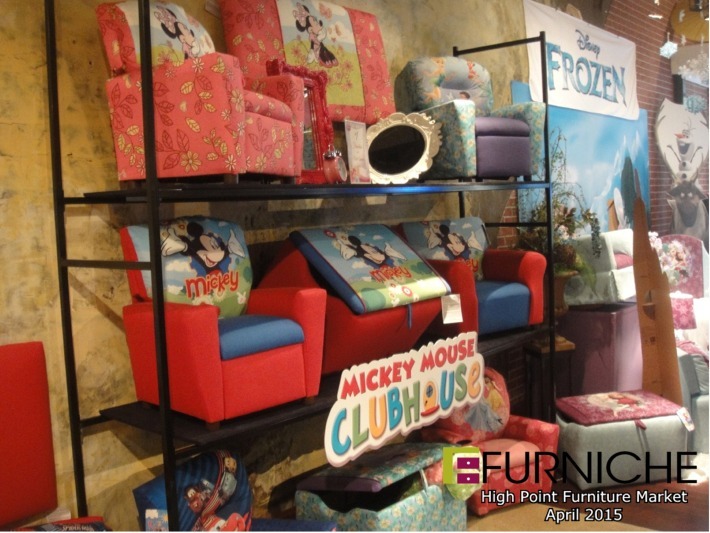 Kidz World has a wide selection of Disney licensed products that are sized just right for the wee ones in your life. See their selection here. Wow...the way the chairs become part of the table apron is really cool. This is a nice design feature that works well in small space living. Rustic styling is still very much alive. 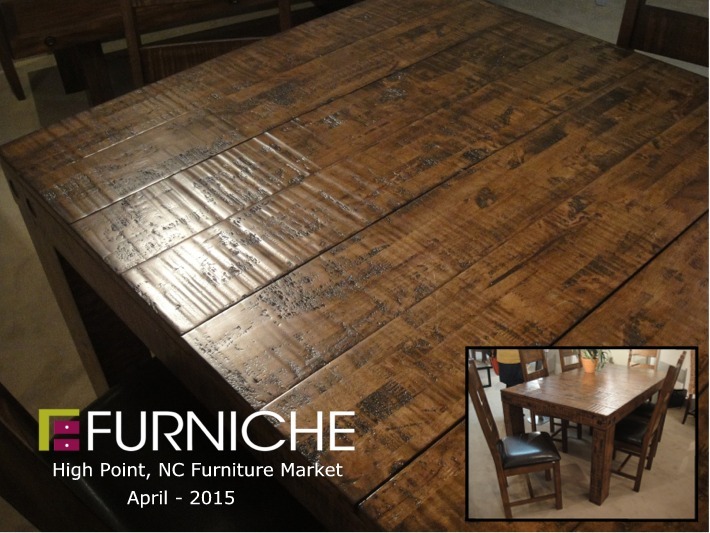 This dining table has a beautiful hand scraped top. The chairs are very sturdy and the leg post is massive. 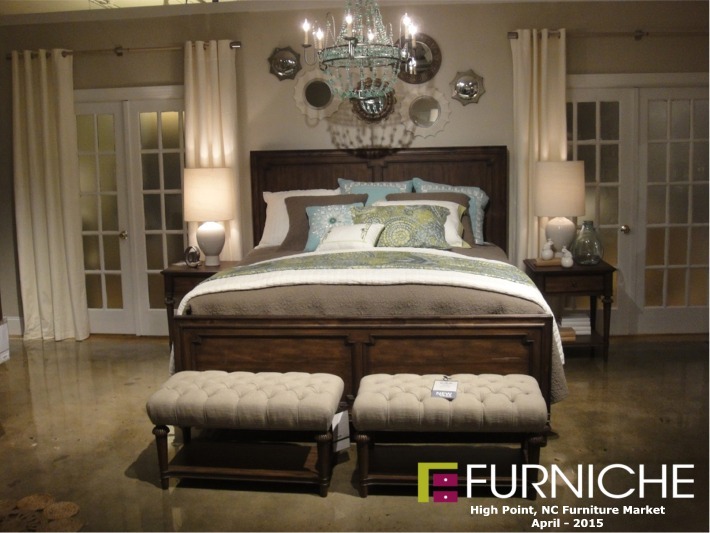 Storage and style in this upholstered bed. Although this does not look comfortable with the high sides/arms, it actually sat well. 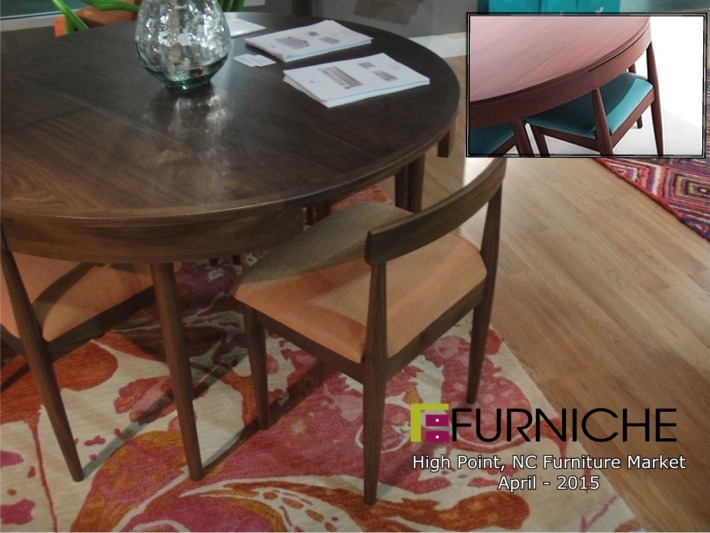 We loved this eclectic mixture of styles and colors in this dining set. 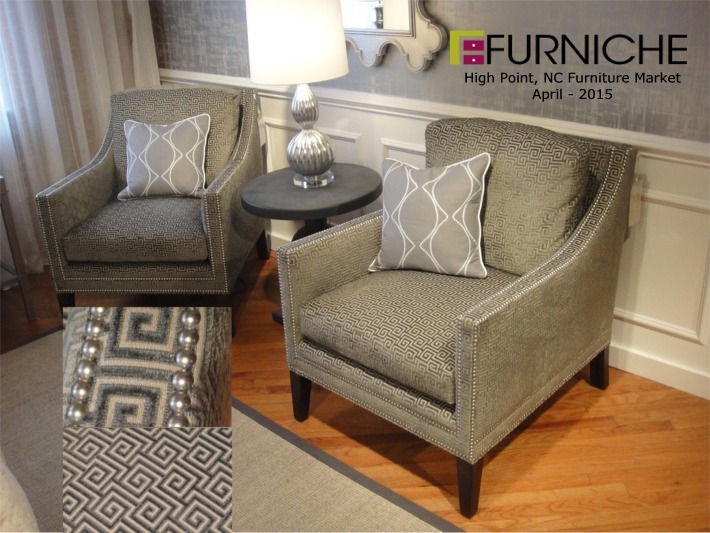 These accent chairs have a gorgeous fabric with a double row of nailhead trim. Smart styling! A nice twist on extra seating at the holiday diniing table with this end of table bench. Looks comfy too. Every one needs a place to put on their shoes! 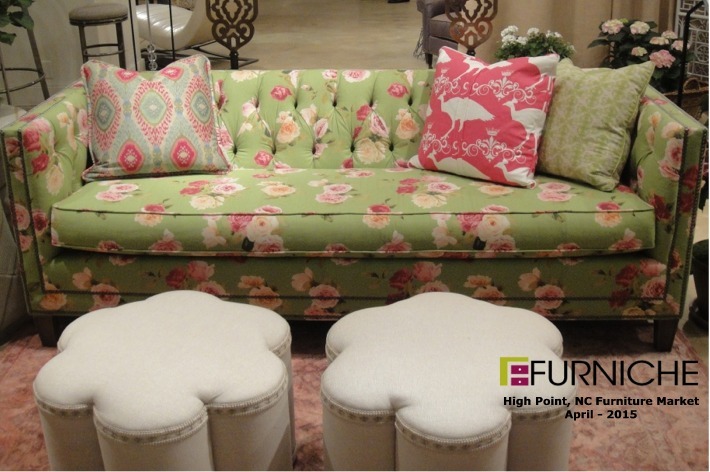 Loved the tufting on these two end of bed benches. We simply named this sofa "the greenie". Nice touch with the rounded/tufted cocktail ottoman. We continue with the green theme here! Color explosion in natural sunlight!